On June 15, 2017, the Ohio Supreme Court issued its decision in Dialysis Ctrs. of Dayton, L.L.C. v. Testa,Slip Opinion No. 2017-Ohio-4269, which provided clarity on the basis for granting or denying a charitable-use exemption from real property taxes. The Dialysis Centers of Dayton, L.L.C. (“DCD”) owned and operated 4 dialysis centers in the Dayton area. For most of 2006, DCD was jointly owned by Miami Valley Hospital, a nonprofit entity, and several physicians. By 2007, the physicians were no longer members of DCD, and it became wholly owned by the hospital. A single member LLC is a disregarded entity for tax purposes and its transactions would appear on the tax returns of the sole member. In some of the centers, DCD rented a percentage of space to physicians to use as offices. In order for a patient to be treated at one of DCD’s facilities the patient went through an intake process, where an employee of DCD would evaluate the patient’s options for paying for the treatment, with potential sources being Medicare, Medicaid and private insurance coverage. If a patient had no coverage and was indigent, the DCD employee would help the patient investigate whether he or she qualified for Medicare or Medicaid. If the patient was responsible for payment of a portion of the dialysis costs and couldn’t afford to pay that portion, the DCD employee worked with the patient to determine if he or she qualified for charitable care. Although all of the foregoing options for coverage and payment were pursued, the centers treated all patients, regardless of whether he or she could afford the treatment costs. When a review of DCD’s tax exemption request was conducted by the county tax department, it asked DCD to quantify what portion of its services were ‘uncompensated care’, which excluded write-off’s for bad debts. DCD quantified such treatment at 28%. The tax commissioner subsequently denied DCD’s exemption application based upon that low percentage of ‘uncompensated care’ and in 3 of the 4 cases, also in part due to the fact that some space was leased to independent contractor physicians. DCD appealed to the Board of Tax Appeals (“BTA”) who upheld the tax commissioner’s determination based on insufficient evidence of charitable care at the locations (i.e., quantity). DCD then appealed to the Ohio Supreme Court (the “Court”). · Because the physicians were part owners in DCD in 2006, DCD was not eligible for a charitable-use exemption in 2006. · In 2007, DCD was entitled to its exemption for that portion of the space at each center that is devoted to dialysis services; i.e., the space leased to the private physicians would not be exempted from real property tax. · The matter was remanded to the tax commissioner to conduct further proceeding to allocate between the portion leased to the physicians and the portion used for dialysis services and calculate the exemption accordingly. The Court’s based its determination to grant the exemption on the fact that nondiscrimination, rather than quantum of charitable care, is the criterion for exemption. Proof of unreimbursed care was unnecessary. 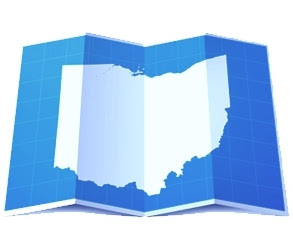 The Court stated “For purposes of Ohio’s charitable-use property-tax exemption, the provision of medical or ancillary healthcare services qualifies as charitable if those services are provided on a nonprofit basis to those in need, without regard to race, creed or ability to pay.” It further noted that in the era of insurance and governmental health care benefits, care may be paid for by third party payors without destroying charitable status. For the foregoing reasons, the Court found that the excessive focus by the tax commissioner and the BTA on the quantity of charitable care was reversible error, and for tax year 2007 the facilities at issue should have been exempted from real estate taxes except for the portion leased to private physicians.